Upon hearing the word ‘witch,’ many people think of a funny-looking green lady in a pointy hat. While this is great fun to dress up as on Halloween, in the past witches were a little bit different. For centuries, witch panic swept throughout the United Kingdom. Witches were ordinary people, and these were dangerous times to live in. A simple thing, like having a birthmark or a pet, could be evidence enough for your death. Witch trials in the UK were anything but just. They were, perhaps, the most terrifying trials in all of history. Witchcraft divided communities. It was a case of accuse or be accused – and most people didn’t wait for the latter to happen. The punishments for being a witch were so horrific, that friends, neighbours, and even families turned on each other in order to save themselves. 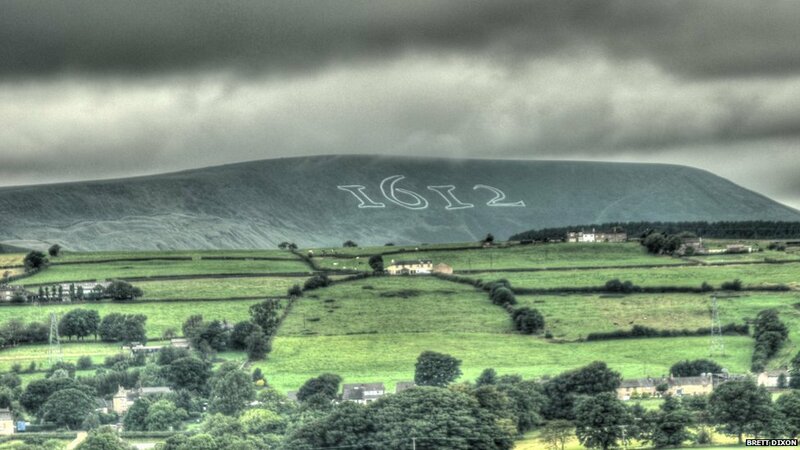 The most notorious example of this occurred in Lancashire, as part of the infamous Pendle witch trials of 1612. Jennet Device, a nine-year-old girl, testified against her own mother and two siblings. Children were not usually allowed in court, but exceptions were made in cases of treason or witchcraft. On her word, they were imprisoned in Lancaster Castle and later hanged on the aptly named Gallows Hill. There is a great story in length on this here. People often associate witch trials in the UK with women, but many cases involved men, too. One of the most brutal of these is a case of witchcraft from Sible Hedingham 1864. A deaf and dumb peddler wanted to stay at an inn, but the innkeeper, Emma Smith, refused him because he was an outsider. Not understanding, the man waved his walking stick and moaned at her before leaving. Shortly after, Emma became sick. She believed that the man had cursed her, so she sent for him and ordered him to stay at the inn so he could reverse the enchantment. But the man refused, because he was afraid that Emma would hurt him. And she did. Emma Smith beat the man, and pushed him into a nearby river. He died as a result, and Emma only received sixth months imprisonment. Whenever something went wrong, people looked for witches. There were many witch trials in the UK because of this common craze. In 1590, King James VI of Scotland and his wife, Princess Anne of Denmark, were caught up in a storm at sea. It was automatically assumed that witches had sabotaged their journey. It was believed that a coven had met on Auld Kirk Green in the town of North Berwick to cast the storm spell. In Scotland, the use of torture in witchcraft cases was not restricted. Some of the most extreme methods used included branding, mutilation, pricking with long pins, and sleep deprivation. Torture led to many people admitting to anything in order to make it stop, and was used on the North Berwick coven members. The most documented of the accused is Agnes Sampson, an elderly lady from North Berwick who confessed to 53 accounts of witchcraft under torture in Edinburgh’s Old Tolbooth. She was garrotted and burned as a witch in January 1591. High Street, Edinburgh where the old Tolbooth was and where witches were held for trial. In the past, things which sound ridiculous today, or phenomena which have since been explained by science, were treated with extreme seriousness. And of course, they meant witches were present. The Hag Riding from Weston-super-Mare shows this. 72-year-old Hester Adams stabbed a younger woman named Maria Pring in the face, and when questioned in court she explained she had done it because Pring had been hag-riding herself and her husband at night. Hag-riding was a term used to describe terrors in the night, which Adams described as a spirit making horrible sounds in their room at night. Desperate to end the torment, Adams stabbed Pring in order to draw her blood and end the enchantment. However, Adams was not taken seriously by the courts who fined her one shilling. Today, hag-riding is more commonly known as old hag syndrome. It is a form of sleep paralysis, which is where some people wake up during the night and find themselves unable to move and suffer from hallucinations. No witchcraft involved – Hester Adams just suffered from this scary psychological condition. But so inherent was the belief in witchcraft, that she deemed stabbing an innocent woman the most logical thing to do. There’s no doubt witch trials in the UK are compelling. Much like the Salem Witch Trials here in the US, there is something about this dark history which draws us in. Do you have an interesting piece of dark history from your side of the globe? We would love to hear about it the comments below! Amy Elize is a writer and storyteller with a passion for folklore and fairy tales. She studied Creative Writing at the University of Winchester, and is currently living in Japan and working as an English teacher.